Even though I’ve spent the majority of my life a 2-hour drive away from one of the best wine regions in the world, the Napa Valley, I had never been wine tasting before last week. Crazy, right? 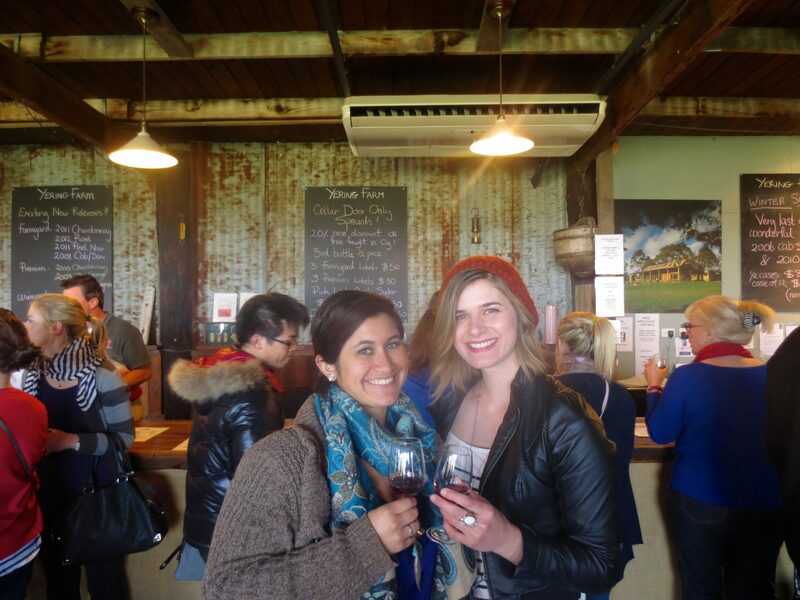 Partly because I’m usually broke or saving for travel, I’ve always been much more of a beer girl, and I’m the furthest thing from pretentious – what I used to think wine tasting was all about. Still, I realized this was something I had to check off my life to-do list. A few things brought about my good fortune to allow me to go wine tasting for the first time. I was checking my credit card points and realized I had enough saved up to do a wine tasting tour in the Yarra Valley, just a 45 minute drive outside the city of Melbourne, at no extra cost to me! 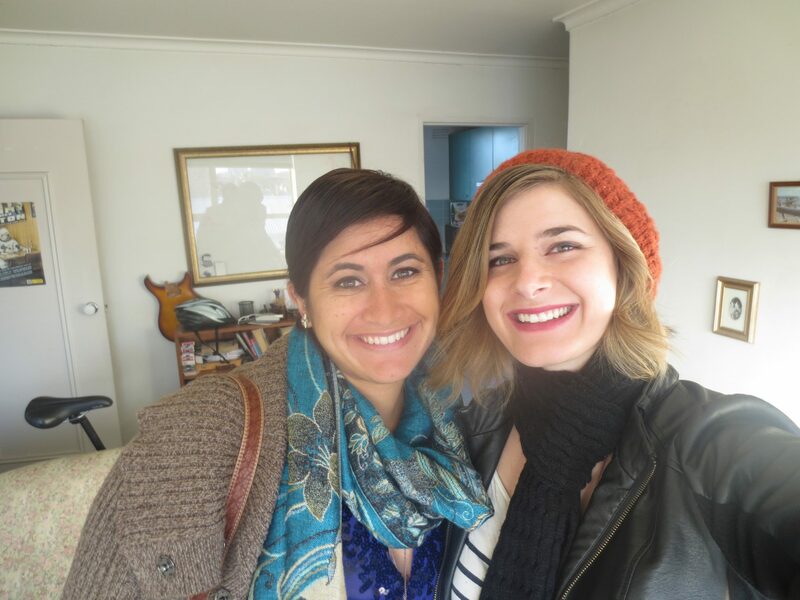 Also, as I said in my previous post, my friend Kelsey is currently visiting me, and I knew we would have a fun time with free tasters in the beautiful countryside. 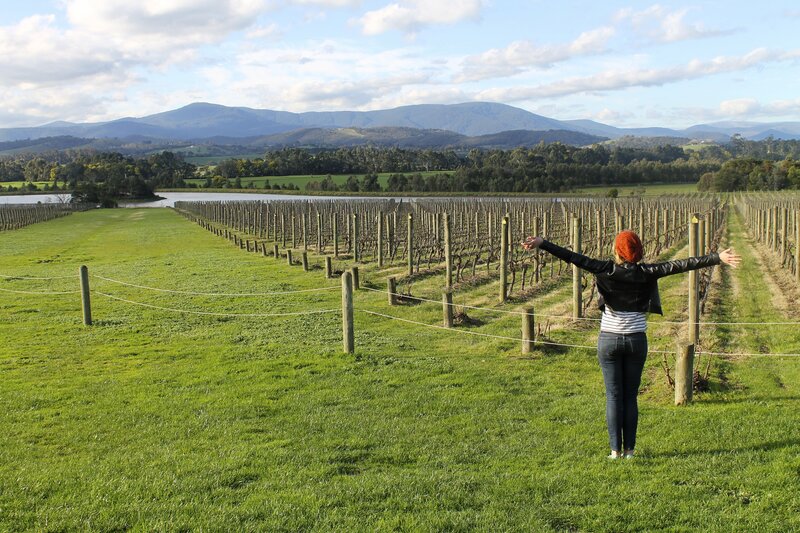 The company we used was Yarra Valley Wine Tour Co., and I couldn’t be happier with the service, our tour guide, and the variety of different wineries we went to for the day. In the winter, they offer a $99 mid-week special, so do it now, just do it. We were the only Americans on the tour, but we met some great characters in the form of Australians, Brits, Japanese, Irish and Canadians. 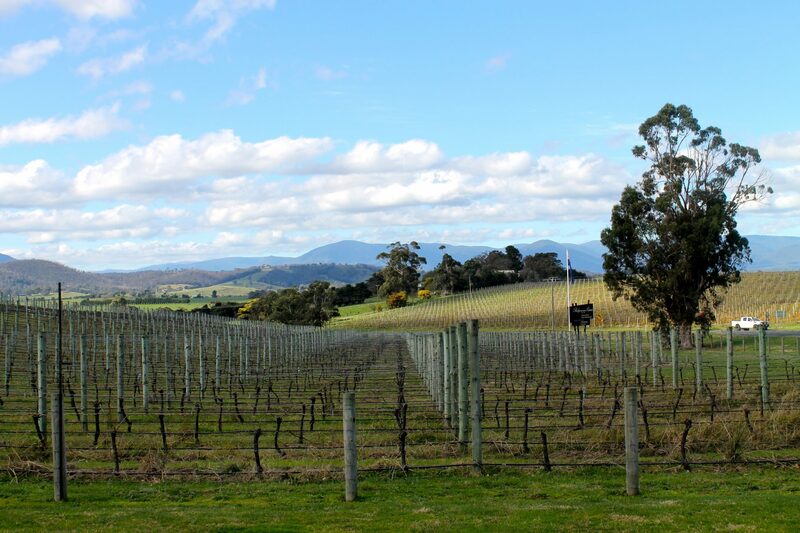 Here was our day in the Yarra Valley. 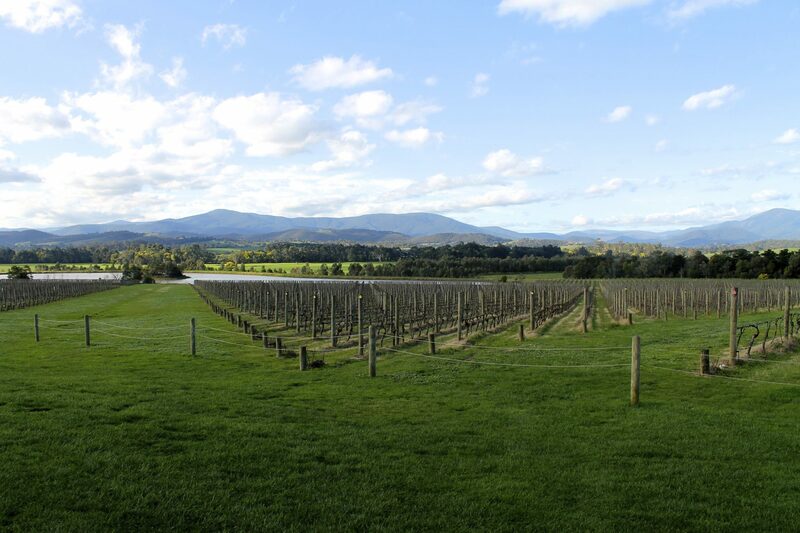 9:45am – 10:40am The guide gave us a detailed history of the Yarra Valley and the different wineries we would be going to, as well as a general itinerary of when we would get food (probably a good idea so we could pace ourselves with the wine). 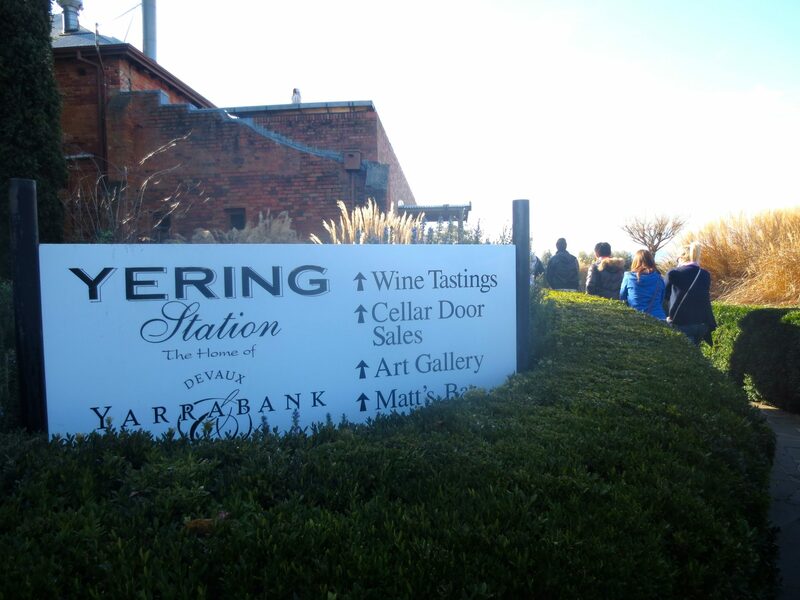 10:40am – 11:45am Yering Station Winery. 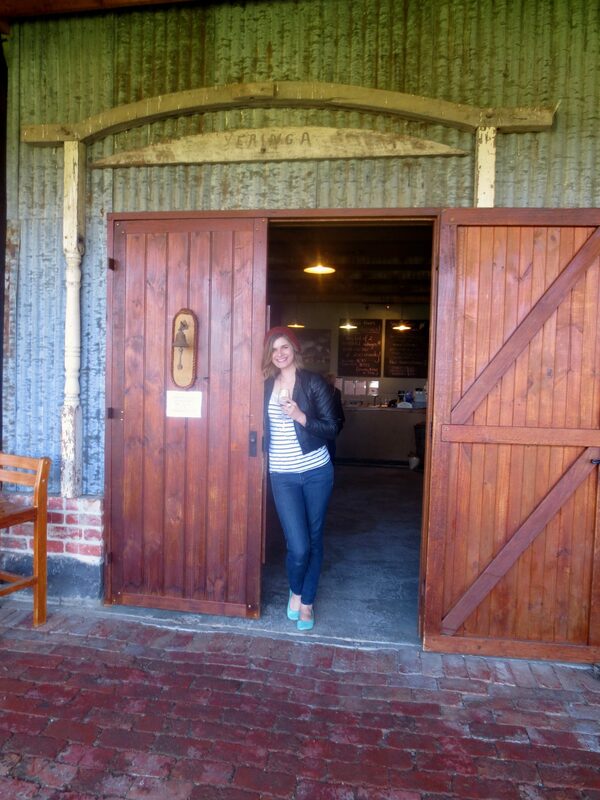 The Yarra Valley’s first winery, it looked like something out of a bridal magazine. The winery had a modern yet rustic feel to it, and the inside was flooded with natural light and cool wintery breezes. Very adorable and picturesque. This is where we learned how to properly sip, slurp, sniff, and look at the wine in the light. 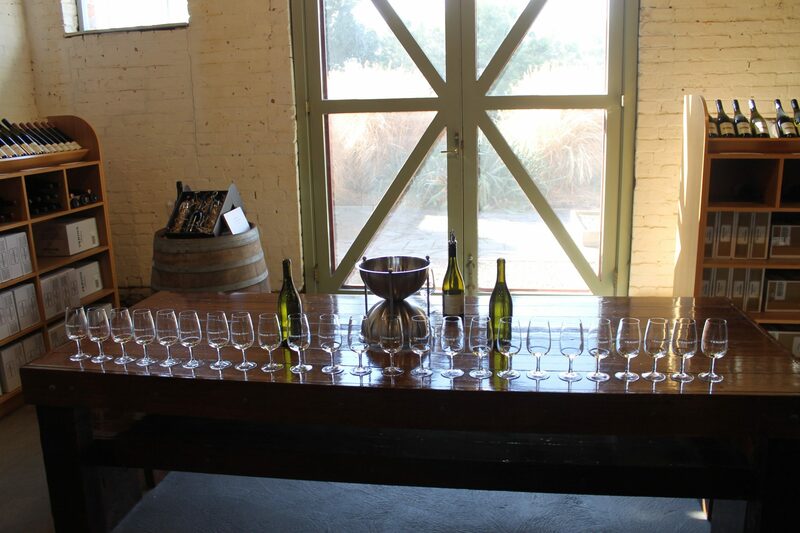 When I saw that hardly anyone on our tour spit out the wine after a taste, I knew it was going to be a fun day. 12:00pm – 1:30pm Balgownie Estate. This winery didn’t have as much character as the last one, but the expansive windows with a view made up for it. We had an elegant lunch with a full glass of wine, of course, right in front of the huge windows overlooking the gorgeous rolling vineyards. I had my first taste of red bubbly here, it was delicious. By this time, we were definitely feeling happy, we even went down to the kangaroo statues at the foot of the vineyard and took some embarrassing pictures in view of our whole tour. 1:45pm – 2:30pm Yering Farm. This winery took us back to the rustic feel, and was probably the least pretentious one we went to all day – we were literally wine tasting in an old barn, it was awesome. And as always, the view looking out on the vineyards was phenomenal. I think it helped that in the middle of winter, we were somehow blessed with a slightly brisk yet warm blue sky day. 2:45pm – 3:30pm Domain Chandon. Probably the most beautiful winery we went to all day. 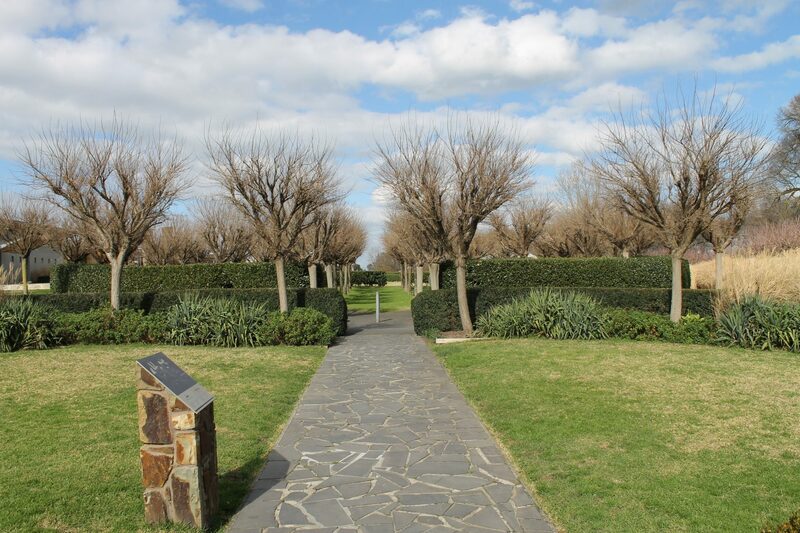 The outside had rows and rows of vineyards, perfectly manicured lawns, ivy-lined passageways to get lost in, and all framed by the outline of the mountains surrounding the property. The inside was much more industrial, but we were able to take a tour to learn about the detailed process of how to make sparkling. We didn’t do much more tasting here, but we were provided with bread and cheese and a full glass of the sparkling of our choice. The British girl next to me, clearly already good by that time, spilled her bubbly all over me, and even still, I couldn’t have been happier. Probably in large part to the great amount of wine I had that day, but also simply because it was one of those perfect days you look back on with beautiful places, beautiful people, and beautiful slightly hazy memories. 4:30pm Arrived back in the Melbourne CBD. Nap time! Overall, it was a great experience, and for me it was free! Even for Kelsey it only cost about $100, which for a full day tour, transportation to one of the most beautiful places in Victoria, 4 wineries, and that much free wine is still pretty damn good. Have you ever been on a wine tour? What were your impressions?